With its approximately 84.000 inhabitants Osijek is the fourth largest city of Croatia and one of the country’s economic, administrative and cultural centres. 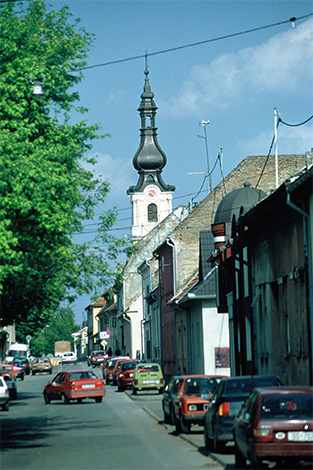 The city is located upon Drava in the east of the historical region of Slavonia. In 1526, Ottoman troops conquered Osijek and destroyed the city. More than a hundred years later, Habsburg troops lead by Prince Eugene of Savoy took the city back and repopulated the area anew. Osijek (German: Esseg) is one of the oldest German cities in south-eastern Europe. After the Ottoman troops had been banished by the Habsburgs, a modern fort with a strong military force was built in the settlement between Sava and Drava. Many German craftsmen and merchants came to the city. For more than two hundred years, mostly German soldiers lived in the fort. Only after World War II and the displacement of Germans no German could be heard in the streets of Osijek anymore. Many of the customs and traditions of the migrants have left a mark on the city. This can be seen in the uniform baroque style and the civil and ecclesiastical buildings in pseudo-classicist and art nouveau style. The Viennese artistic taste of the time was predominant in the city upon Drava. From the late 18th century onwards, the city had two daily newspapers and regular theatre performances in German. Osijek’s location was profitable for trade. The main routes from Vienna to Constantinople went through the city. In the mid-19th century, Osijek saw an economic book through the trade with leather, wood, wine and grain. In the 19th century, Osijek was the centre of Danube Swabians in Slavonia. Today, only a small German-speaking minority is living in the region. The German community of Osijek is committed to the preservation and cultivation of German language, culture and traditions. The city has German schools and a cultural centre. At the end of the Austro-Hungarian Monarchy, the Germans became a minority in Croatia and many had to flee. Today, approximately 3.000 Germans, who would consider themselves Danube Swabians, live in the whole of Croatia. The city’s baroque fort, various parks and the art nouveau architecture attract many tourists. Many of them are cyclists taking the international Danube cycle way to the Black Sea. The city is also popular with young people. 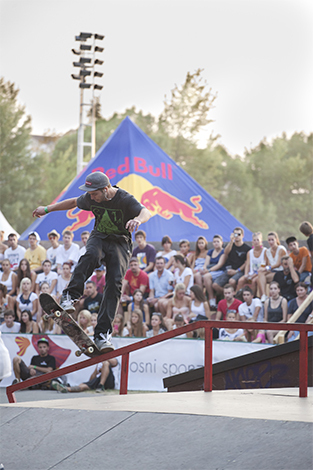 In 2013, Osijek hosts the international extreme sports competition Pannonian Challenge for the 13th time. The extreme sports competition Pannonian Challenge attracts many visitors.